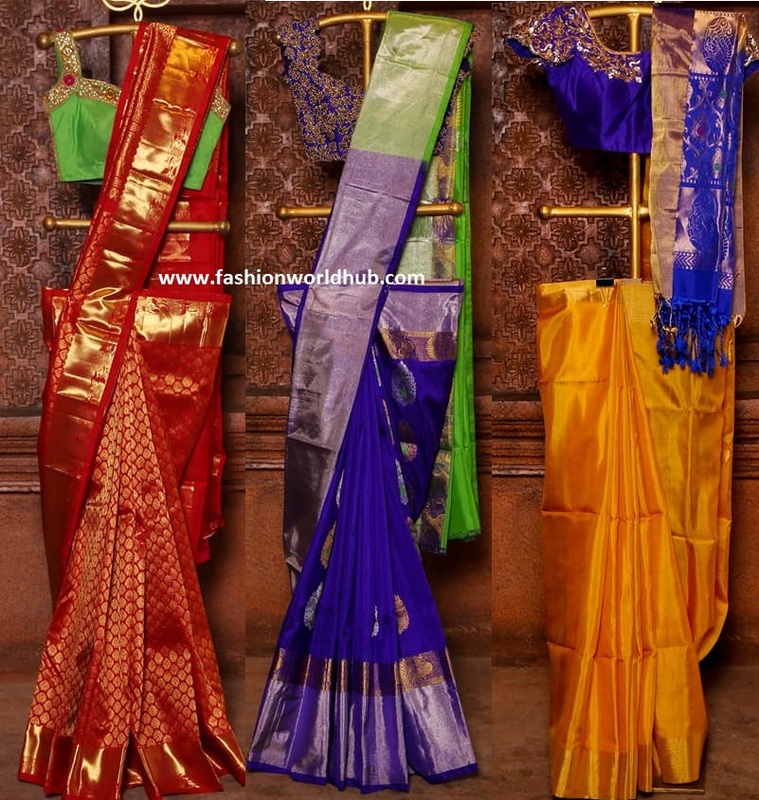 Trending Light Color Pattu Sarees! Pattu sarees are ever green trend. When you think of pattu saree the first thing that strikes is gold combination with vibrant colours. Wedding season is ahead, if are you looking for something traditional yet trendy, then just go with the simple and well-tested folklore and choose a Pattu saree this season for your wedding. Pattu sarees are nothing but silk sarees known as Pattu in the southern part of our country, India. It is a tradition of South India to wear a silk saree during every auspicious occasion. Not only in south India silk saree are favorite of every Indian woman. When it comes to sarees, silk has always been in fashion since years, this fabric oozes luxury and it looks royal on every woman. You can spot Pattu sarees in amazing shades; I wonder where do the designers manage to locate such shaded from the color palette. Hats off to them!! Green and pink , yellow and blue , purple and red are these colours would have already been part of our wardrobe. 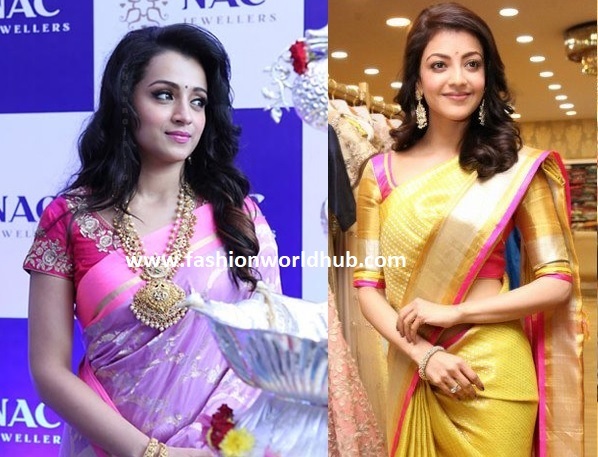 But we observe the latest trend we keep seeing that even the pastel colours or lite shaded colours are making the big hit and we should learn from our celebrities how to rock in light weight pattu sarees . A lite shaded saree with a contrast bright blouse also goes good . 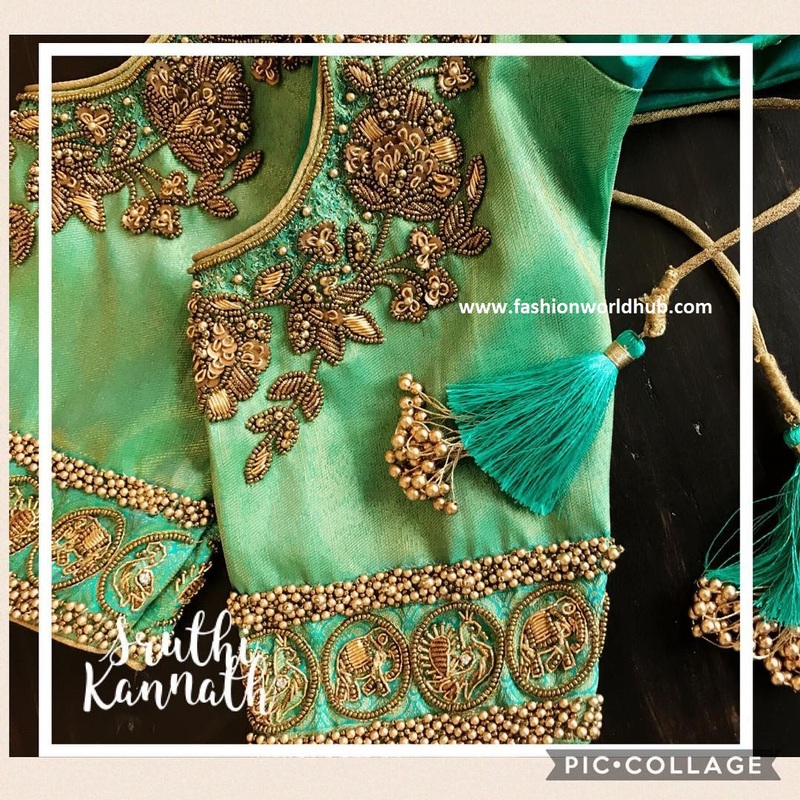 Any lite colour pattu sarees that has a combination with a silver or gold zari will completely change the look of the sarees and when you pair up with the right accessories the complete traditional look will change. 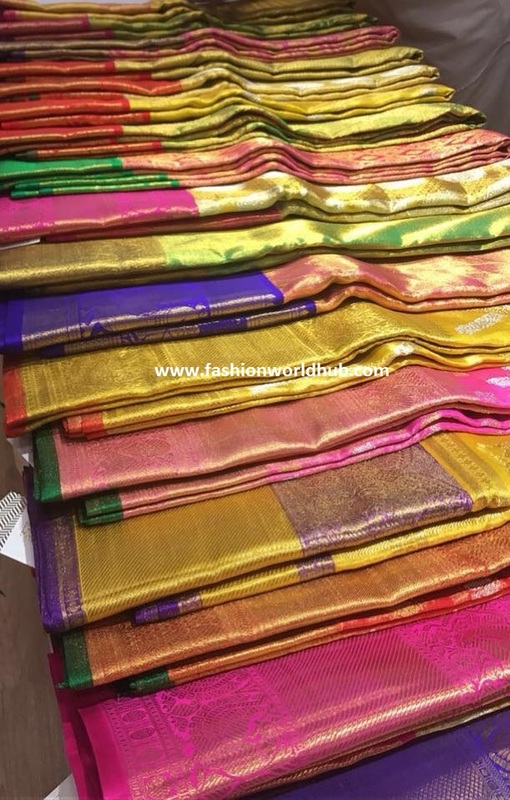 Our designers Golden Threads,Bhargavi kunam ,Parvathi dasari, kankatala and many other designers have a great collections of these Heavenly Light Color Pattu Sarees. Have a glance of their facebook page to get an idea of these light colour pattu sarees. If you too are confused from where to fetch such eye-catching light shades of Pattu sarees, just search them online and you will find a variety of silk saree with different shades and designs. When you are in a store you would get an exclusive chance to drape and feel the attire, and take a look at how the color suits your skin tone and personality. If nothing wraps your mind just sit and choose some light pastel shades Pattu sarees with dark pallu and bright golden border to match your accessories. Every time you get in to buy the same old colors, which are already hanging in your wardrobe, try something new this season to flaunt the fresh look. Pastel Pattu sarees look good on every woman; they come in the shades of pinks and peaches with contrast combinations of lemon and blues. A combination of these subtle colors adds a superb auxiliary to the summer ambiance. This safe option will give a twist to the same looks you were expected to carry. We find celebrities of all generation to carry this saree with different blouses and accessories at parties and award nights. It’s a true that traditional attire if well carried has unparalleled beauty embedded in it. So give the needed twist with the blouse and accessory and take the tips from the pictures below to feel explore the beauty with you are bestowed with. The best part is you can wear a lot of Kundan or gold jewelry to match your attire. A heavy blouse full of embroidery or sequin work is a perfect team up with your heavy saree and gives you a complete bridal look. So what are you all waiting for go select some light colors of Kanjivaram/ Pattu saree and flaunt this upcoming festive season with style. 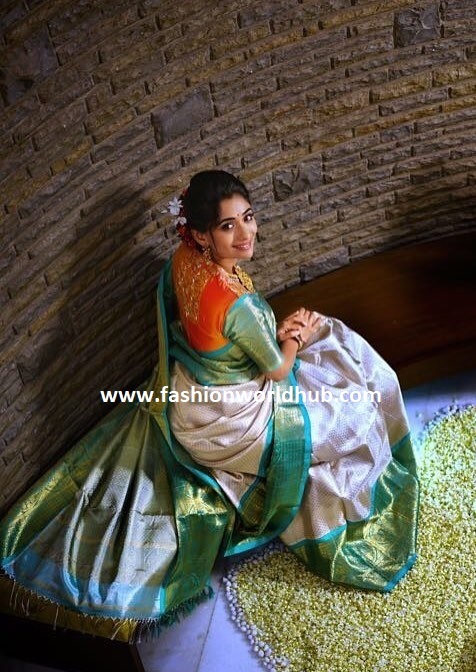 Kanchipuram pattu sarees from Mugdha art studio!